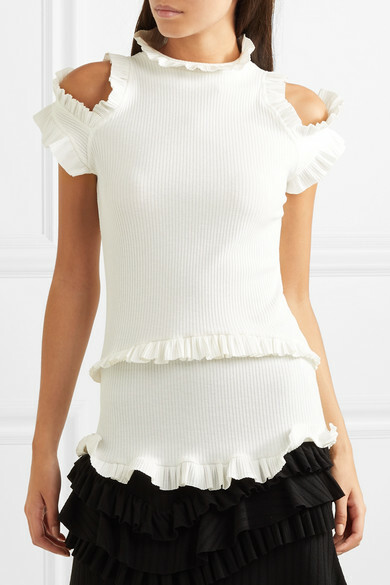 Part of Maggie Marilyn's sixth collection, this 'Dreaming Of You' top is made from a soft ivory ribbed-knit that's been sourced from a small, family-owned business in New Zealand - the designer has worked with the company since season one. 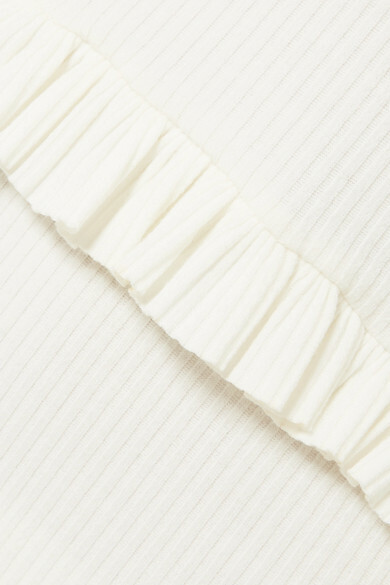 Romantic in name and design, it's trimmed with pretty ruffles at the neckline, shoulders, waist and hem. Maggie told us she'd style hers with boyfriend jeans or a floaty skirt. 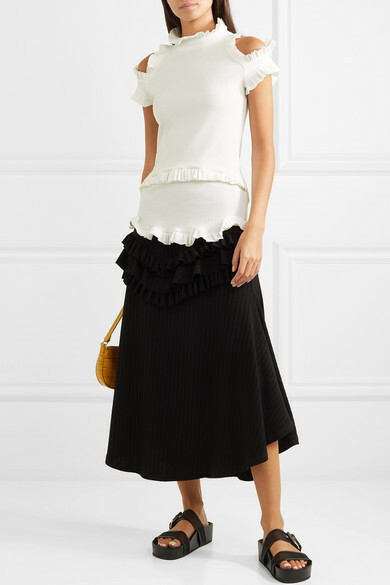 Shown here with: Maggie Marilyn Skirt, BY FAR Shoulder bag, rag & bone Sandals.